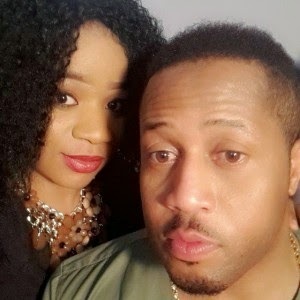 Lizzy Gold Onuwaje isn’t new to the world of show business. Her foray into the make-believe world started in 2006, when she won the Delta State Pageant as Miss Delta State. Then she tried her hands at the Most Beautiful Girl in Nigeria Pageant (MBGN) where she emerged as the second runner-up. Lizzy was quick to add “The affair didn’t crash because I went into acting. The basic truth is he doesn’t have money; so I decided to end the relationship. I dumped him in 2013 because he didn’t have much in terms of money and he didn’t have any push for my kind of man”. Though not yet what you would call a popular item, Peggy has got it going and hardly stays out of jobs. She opened up to Potpourri recently that her boyfriend almost checkered her ambition but she resolved to follow her heart and what her heart told her was “ run, run, run”. “I don’t know how most men perceive the world of acting. It isn’t the way they see it. They believe anybody going into acting would be soiled by greed and wantonness. My boy friend believed I would be snatched away from him. He asked me to quit and I was just beginning to pursue my acting career. I couldn’t quit, besides, if he really loved me, he would have stayed. I can sacrifice my career when I’ve achieved my dream in the industry. But now that I’m still striving to hit the top, I can’t sacrifice it,” she said. “Yes I dumped him for Nollywood because he doesn’t want me to be a star. He doesn’t want me to follow up my career and he has not proposed to me. The guy can leave me tomorrow and now that I have the opportunity, I need to follow up.